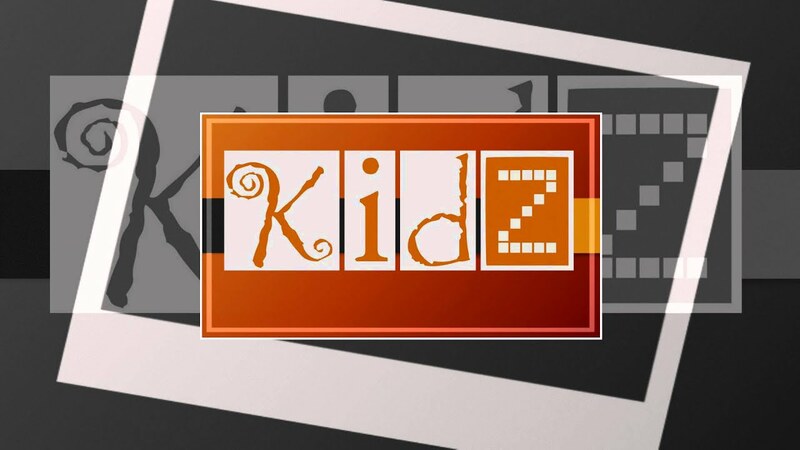 The Austrian KidZ project: "Classroom of the Future"
KidZ (“Klassenzimmer der Zukunft“, engl. “classroom of the future”) is an innovative educational project which was initiated by the Federal Ministry of Education and Women in Austria in the year 2013. Following an interdisciplinary, holistic and cross-linked approach, the major principle of KidZ is to make learning with ICT visible and part of regular school life. The major goal of the nationwide project KidZ Austria (runtime from 2013/14 to 2016/17) of the Federal Ministry is to deliberately anticipate the use of digital media and the didactic possibilities they offer and to integrate and evaluate them in the context of secondary schools. During the runtime of the project, participating schools are encouraged to try and test lots of different approaches, gain experiences with ICT on various levels and to reflect on their own teaching practice as well as on changes they experience. Thus, the project aims at achieving a high standard of innovative teaching and learning practices, combining the concepts of contemporary learning culture and digital integrative design. Link to the online campus of the Virtual University of Teacher Education. In context of the Austrian KidZ project, the KidZ E-Portfolio Study 2014, carried out by the Centre for Educational Technology and Innovation (ZLI) at the Department of Interdisciplinary Education of the University of Teacher Education Vienna (PH Wien), collected and analyzed good practice examples at Austrian schools in order to get an insight into existing e-portfolio projects. In addition to that, five teachers who had already gained a lot of practical experiences in the use of e-portfolios in class were invited to take part in virtual interviews via Adobe Connect. The major aim of the study was to illustrate and analyse the use of e-portfolios at Austrian schools and to document and share experiences examples. The conclusions drawn from the analysis as well as the good practice examples of the participating schools were collected and presented in an e-portfolio collection on Mahara. The study was continues in the school year 2015/16 and by now includes detailed e-portfolio project reports of twelve Austrian schools. Link to the KidZ E-Portfolio Study carried out by the ZLI. In line with the guidelines of the University of Teacher Education Vienna, the Centre for Educational Technology and Innovation is concerned with the integration of digital technologies, media and tools for contemporary and innovative didactics into education. Link to the ZLI blog. Another field of research the ZLI is involved in is the initiative of Open Badges as a way of recognizing skills and achievements. Open Badges are a project run by the Mozilla Foundation to recognize skills and achievements. Through Open Badges learners can show what they have learned and which skills and competences they have gained. Thus the badge structure allows users to display real-world achievements and skills which may help them with their future careers and educational opportunities. Mahara View on Open Badges created by the ZLI. The concept of DigiFIT Lehren is a special training programme for teachers in form of blended learning settings. Teachers "walk along" so-called “learning paths” which comprise of four modules. Supporting teachers with innovative ideas and teaching material for their lessons is another crucial aspect in the KidZ project. The digi.komp series offers teachers standards for digital competences as well as a whole range of good practice examples they can use in class in order to help their students to become "digitally fit". The good practice examples provided on the digikomp website cover all types schools: primary schools, lower secondary schools, higher secondary schools and vocational schools. The annual eBazar of the University of Teacher Eduation Vienna, organized by the Centre for Educational Technology and Innovation, provides visitors with a variety of information and bazar-like market stalls on all kinds of topics in regard with new media and didactics. Link to the eBazar of the ZLI. The poster above was presented by Petra Szucsich on April 14, 2015 at the Faculty of Teacher Education, University of Zagreb Conference. The abstract was published at KidZ: Razred Budućnosti / KidZ: Classroom of the Future (2015) In: Knjiga Sažetaka. Book of Abstracts. Konferencija Učiteljskoga fakulteta. Sveučilišta u Zagrebu. The Factulty of Teacher Eduaction. University of Zagreb Conference. One major aim of the Kidz project as well as of the ZLI is to work in networks and to support national and international cooperation. One example of an international network is the Europortfolio Initiative. The major aim of EUROPORTFOLIO is to explore technologies and practices connected with the use of e-portfolios, and to illustrate and discuss possible learning environments. Users, experts as well as researchers are encouraged to join this network, get in touch with each other and share experiences and good practice examples. In the context of the nationwide project KidZ Austria, the University of Teacher Education in Vienna (PH Wien) has started a sub-project called KidZ Vienna. In the course of four school years (from 2013-2017) the university KidZ team accompanies, advises and evaluates the eleven participating KidZ schools located in Austria’s capital city. KidZ Visions for the "classroom of the future"
The following four aspects are supposed to facilitate planning and developing processes and function as a guideline in the KidZ project on all project levels, within the network as well as for the individual schools. The process of the KidZ project is divided into four phases which correspond to the four school years the project covers. The video below was produced by one of the 11 Viennese KidZ schools that has redefined its concept of space in their so-called "Future Workspace". One special feature at Austrian Universities of Teacher Education is that they house so-called "Praxissschulen" on their campuses. These schools (primary and secondary schools) can be refered to as "test schools" which enable students as well as university staff a very close and good cooperation and direct communication and exchange of experiences. Photo: The team of teachers of the Praxis NMS (secondary school). Two classes, teachers as well as students, of this school were equipped with tablets by sponsors from the industry.